Diana A. 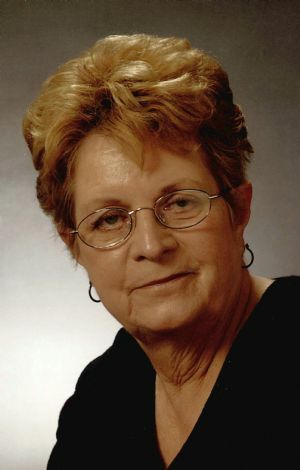 (Gustke) Schoppenhorst, age 76, of Berlin, WI, went to be with her Savior on Friday, September 21, 2018 after a battle with cancer. Diana was born on October 21, 1941 in Auroraville, WI, the daughter of Samuel and Alma (Pigorsch) Gustke. She lived her entire childhood in Auroraville, and attended Auroraville Grade School. Diana graduated from Berlin High School and went on to Constance School of Cosmetology in Oshkosh, WI. In 1961 she married Wilford Schoppenhorst, and he passed away in November, 2005. A special daughter, Pamela Jean, was born on April 14, 1963. Pamela went to her Lord on May 3, 2017. Diana is survived by a brother, Richard (Susan) Gustke of Sheboygan, WI; a sister, Sandra Jones of Madison, WI; son-in-law, Robert Cook II of Ripon, WI; granddaughters, Morgan Cook of Prescott, WI, Kirsten Cook of Oshkosh, WI, and Marissa Cook of Ripon, WI; brother-in-law, Wilmer (Mitzie) Schoppenhorst of Borth, WI; sisters-in-law, Marian (Vern) Parker of Redgranite and Karen Schoppenhorst of Berlin, WI; and many nieces and nephews. She was preceded in death by her parents, Samuel and Alma Gustke; husband, Wilford Schoppenhorst; a daughter, Pamela Jean; and two brothers-in-law, Merlin �Mertz� Schoppenhorst and Guy Jones. Visitation for Diana will be held from 9:00 am until 11:00 am on Wednesday, September 26, 2018, at St. John Lutheran Church, 168 Mound St., Berlin, WI, 54923. A Memorial Service for Diana will be held at 11:00 am on Wednesday, September 26, 2018 at St. John Lutheran Church in Berlin, with Rev. Paul Mundinger officiating. Private inurnment will take place at Pine Grove Cemetery in Auroraville, WI at a later time. A memorial is being established in her name. Diana's family wishes to extend special thanks to Donna and Bruno, Terry Schoppenhorst, Diane Paugles, Marilyn, the ladies from St. John Lutheran Church, Pastor Bo, Reverend Paul and all the other family and friends who visited, helped and provided positive thoughts and prayers.